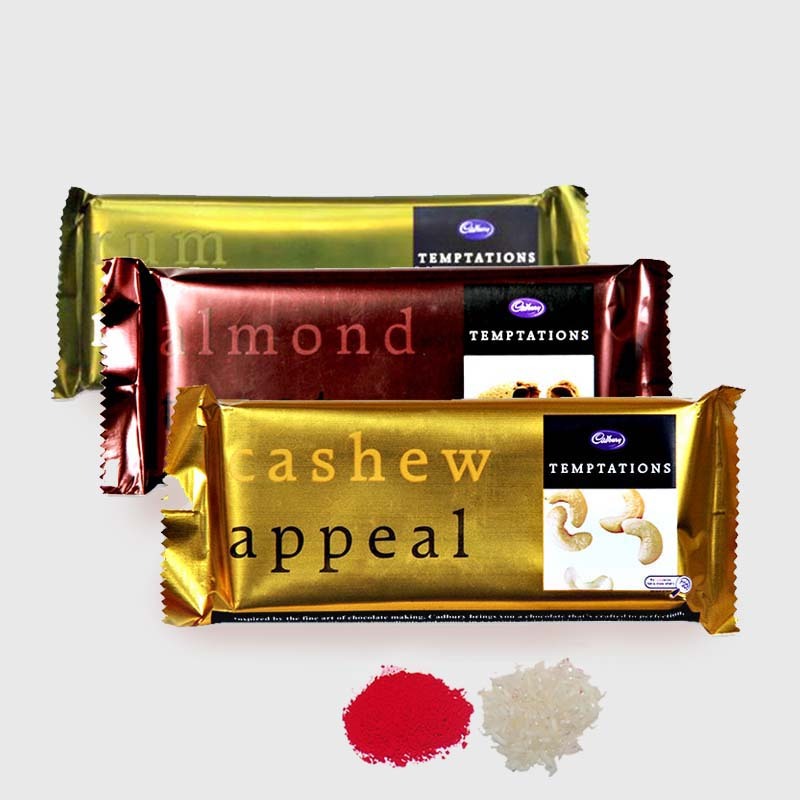 Product Consists : 3 Bars of Temptations Chocolate (Weight : 72 Gms each) along with Free Roli Chawal. If you are looking for ultimate gifts to delight your dearest brother on this Bhaidooj then we have the classiest collection for you. 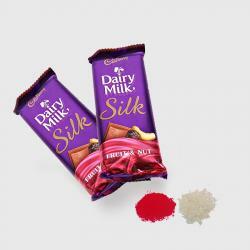 This is a striking gift combo of tikka chawal of high quality for auspiciousness and 3 Bars of mouth watering chocolates from Cadbury Temptations. 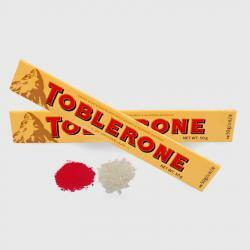 It contains two flavours treat that are super delicious. This gift combo is perfect to show him how special he is for you. 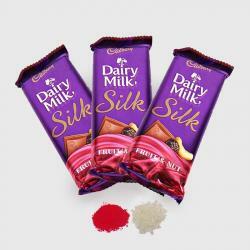 So go ahead order it now to best well being, success and prosperity on your dear brother on Bhaidooj. 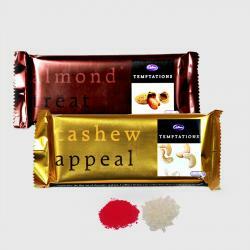 Product Consists : 3 Bars of Temptations Chocolate (Weight : 72 Gms each) along with Free Roli Chawal.